The museum's main building (ca 400 m2) was built during the last years of the 19th century (about 1872) by Baron Dellingshausen, at the orders of Tsar Alexander III. The building is one of the few stone structures Käsmu, and was likely constructed using stones from the Käsmu Brick Factory. The building has a low roof: a full-grown man is unable to stand up straight in the attic, but mergansers have certainly found it to be a suitable nesting site. The building's outer walls are 70 cm thick with an empty gap in the middle. It is difficult to determine the original layout of the rooms, as they have been repeatedly reorganized. It is unknown how many men lived in the building during Imperial times. 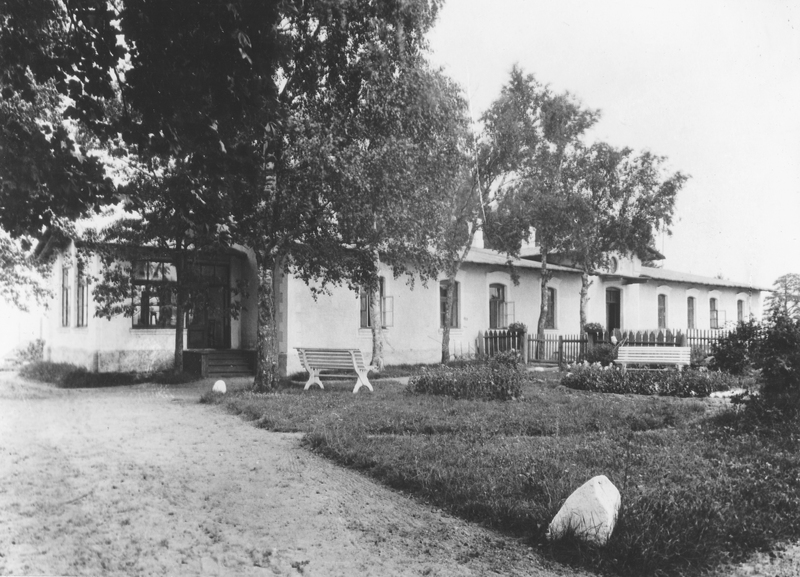 The structure housed the Käsmu Maritime School during the first years of the Republic of Estonia (1918–1931). Later, up to ten men serving in the Estonian border guard and their families lived in the house. The station was usually staffed by 52 officers during the Soviet period. Upon departure of the Soviet border guard in the fall of 1992, the building was abandoned and left in a somewhat run-down state. It has been passed from hand to hand – first under administration by Võsu Municipality, then the Ministry of Internal Affairs, and now the Ministry of Culture. The Maritime Museum has rented the building since 1993, and it is under national heritage protection. In 2012–2013, the building's façade regained its Imperial-era appearance: beige plaster with white cornices. The northern patio was completed in 2011, and the southern one in 2013. Restoration of all the building's old windows is currently underway, and 90% of the indoor spaces have been renovated. New cement main stairs and a platform were poured in 2010.